The Vikings put Mike Hughes on injured reserve Tuesday, two days after he suffered a season-ending torn ACL in his left knee in a victory over Arizona at TCF Bank Stadium. Defensive tackle David Parry (60) was re-signed to fill Hughes’ spot. The Vikings also signed cornerback Craig James to the practice squad and waived practice squad cornerback Jalen Myrick, a former Gophers standout. 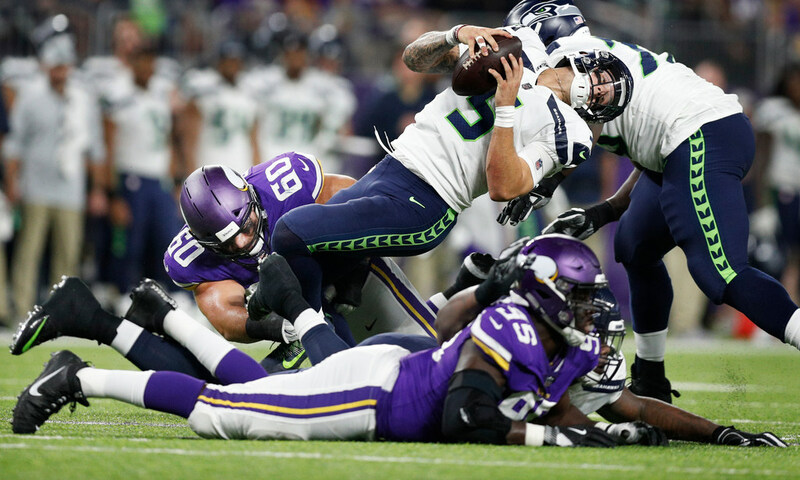 Parry was with the Vikings for their first two games, getting a sack, before being waived Sept. 19. He was a fifth round pick of the Colts in 2015 and spend the next two seasons with Indianapolis, starting all 32 games. He was on the Saints practice squad last season. James was released by the Vikings in their final cuts on Sept. 1. A rookie from Southern Illinois, he started his college career for the Gophers.